This NAS is also called personal cloud storage nowadays. Unlike public cloud storage such as Google Drive or Dropbox where you need to subscribe for data storage and your data is stored on 3rd party's storage, the NAS is your private storage that you have full control on how it's connected, how it's managed, who can access to it and so on. Simply put this is dedicated network storage that is used to store data as opposed to traditional method of storing data on the hard disk installed on computers. Traditionally, you would face slow computer or program performance issue when you computer’s hard disk space is almost occupied with data, but you can forget about it if you store all data on the NAS. This network device is suitable to be used as centralized storage and conveniently accessed by family members or friends. Before you use the NAS, read the product manual and follow the instruction to install the hard disks if need to, after that you are ready to connect it to home network. The network connecting process is pretty easy as long as you have a network at home. 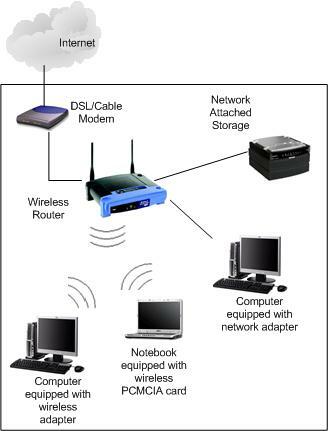 Just use a network cable to connect the the NAS box's Ethernet network port to router or switch port, and proceed to power on this network device. It will then be assigned an IP address from your router (need to activate DHCP feature on router) or DHCP server, after that you can start to access it from your computer by using the utility or program provided by NAS manufacturer. In addition, you should be able to access this NAS from the iOS and Android mobile devices too through the app provided by NAS manufacturer. For the NAS that comes with only single drive (hard disk) support, usually you will be able to expand the storage capacity easily by plugging in additional hard disk to the NAS box's USB port. - How many hard disks are supported? - Does it support RAID1, JBOD or other redundancy configurations? - Does it support 10/100/1000 Mbps Ethernet connection? - Any USB ports provided on product? - Does it support user disk quotas control? - Can we configure read or read/write access for users? If you are interested, take a look on these network attached storages to explore further! Return to top of "Using Network Attached Storage to Store Data Centrally"! !